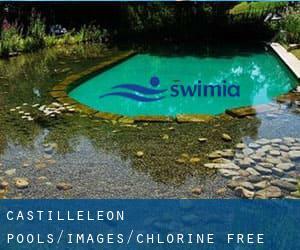 Thanks to some new Chlorine Free Pools in Castille and León submitted daily, Swimia.com is escalating every day the number of stored pools. Please don't hesitate to make contact with us if you find any inaccurate or incomplete information. The ideal pools to swim are certainly indoor olympic pools. There are regularly discounts offered to senior citizen and tiny youngsters. Discover by contacting your nearest pool in Castille and León. Swimming is usually a sport for all ages. It helps young people to tone their muscles and grow healthful and robust. Please check the nearest Swimming Pools or Contact us to ADD IT. It's absolutely free! Are you a regular swimmer? 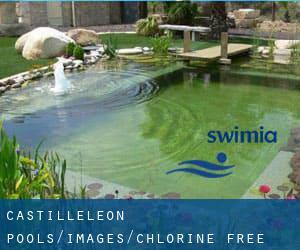 Do you visit the same Chlorine Free Pools in Castille and León? Please check that all the specifics for your aquatic center are correct and contact us for those who find any mistake. Whereas León is one of the six most populous cities in Castille and León with nearly 134.305 residents, you shouldn't miss that one if you're going to Castille and León. Swimming is actually a excellent thought to keep your body active during your visit to Valladolid (Castille and León), or even if you are a local. Swimia helps you to discover your closest Swimming Pool in Valladolid. Without a shadow of a doubt, swimming in Salamanca is the best approach to unwind after perform. Take a couple of minutes to browse Swimia's catalog to find a Swimming Pool in Salamanca. Holding an estimated population of 178.966, Burgos is one of the most important cities in Castille and León. Check all the Swimming Pool in Burgos and its surrounding region. Crta. Palencia km. 2.8 , Aranda de Duero , Spain (Postal Code: Unknown). Swimmers like you reported 25 meters, 6 lanes, Salt Water, Non-Chlorine Sanitized, Indoors. Phone number and e-mail address are number for this Swimming Pool.